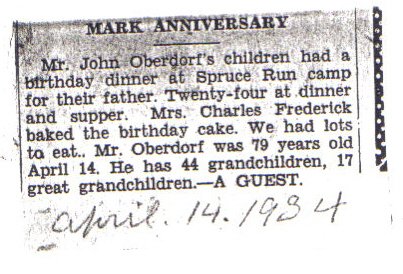 Andrew Oberdorf, Penn Township 1791 -listed in this book: Lontz, Mary. Revolutionary War Soliders of Union County, Pennsylvania. Milton, PA: Mary Belle Lontz, 1980. Transcriptions of county pension records. 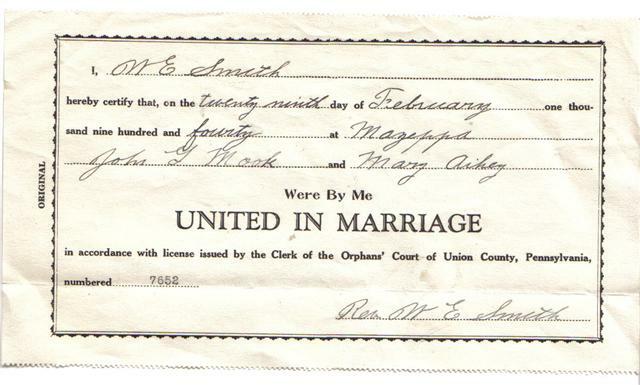 John Mook was first married to Sarah J. Aikey, daughter of Ammon Aikey. When she passed away, John married Mary Alice (Oberdorf) Aikey, widow of Paul Aikey. Paul was a nephew of Ammon Aikey, Paul's father was Alexander, Ammon's brother. John and his brother were also the appraisers for Mary Alice's father, John George Aikey's, estate. Paul Aikey and Mary Alice Oberdorf are my great grandparents.